“This is not the Print Museum!” proclaims the sign. A man opens the door. “Ah no,” he says. “This is the Labour History Museum.” He begins directing me to the Print Museum, but I’m joking. 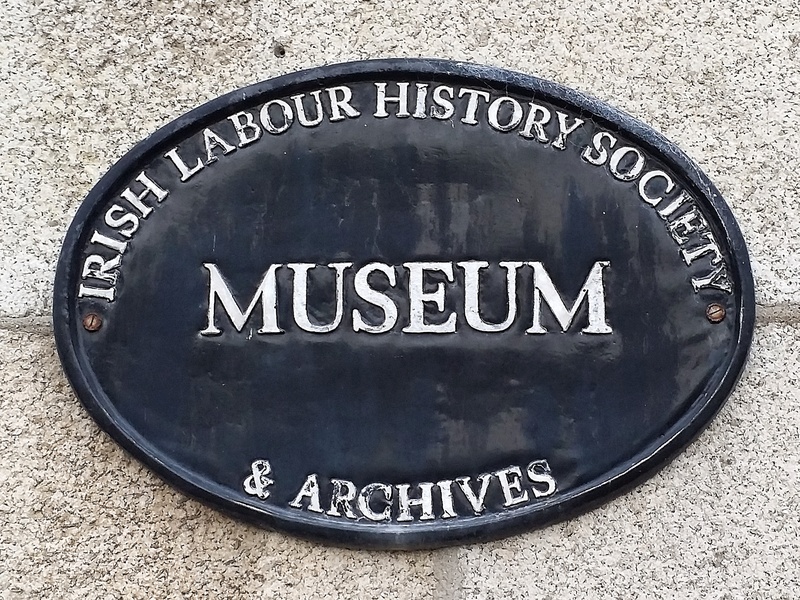 I want to visit the Labour Museum. Really. I do. I’ve passed it many times, mostly on my way to the Print Museum. In fact, I’m on my way the Print Museum right now. I don’t mention this to the man at the door. The museum is small, more of an archive room. There are boxes of papers stacked in the back; theses and reports lining the shelves. There’s not much to engage the casual passer-by. I look at the book covers and pamphlets displayed in the cases, but can’t make sense of what I see. Too much detail, too little context. Metaphor for life, I suppose. The print museum is around the corner in the old garrison chapel. It’s bigger than the Labour Museum, but smaller than other museums I know: an hour to look at the exhibits and browse the gift shop; twenty minutes to relax over coffee. I head to the trays of type: wooden and metal letters and punctuation marks. The letters are stored neatly, and I pick out the letters of my name, slide them onto a composing stick. “Would you like to print your name on a Wanted poster?” asks the museum guide. She seems disappointed when I shake my head no, but I’ve already got a stack of wanted posters at home. Besides, it’s the physical type that interests me, the sensation of holding letters in my hand. The ultimate deconstruction of the writing process. The machines intrigue me, too: a wooden printing press ( a replica, built for the set of The Tudors), a Linotype machine, and a Wharfedale Stop Cylinder press (similar to the one the 1916 Proclamation was printed on). They’re bulky and functional, but there’s a beauty about them too, an engraving here, a nameplate there. In one corner is the Shaw Pen Ruler, a massive machine that looks like a loom. It was used to print three-colour cashbooks and copybooks. I like its elaborate set up, a system of pens and guides designed to encourage us to stay within the lines. The machines are silent now, and it’s easy to romanticise them. They took skill and patience to operate. Strength, too. But on days they broke down, or smudged ink, or refused to take an even impression, they must have broken their operators’ hearts. A lot like writing, then. 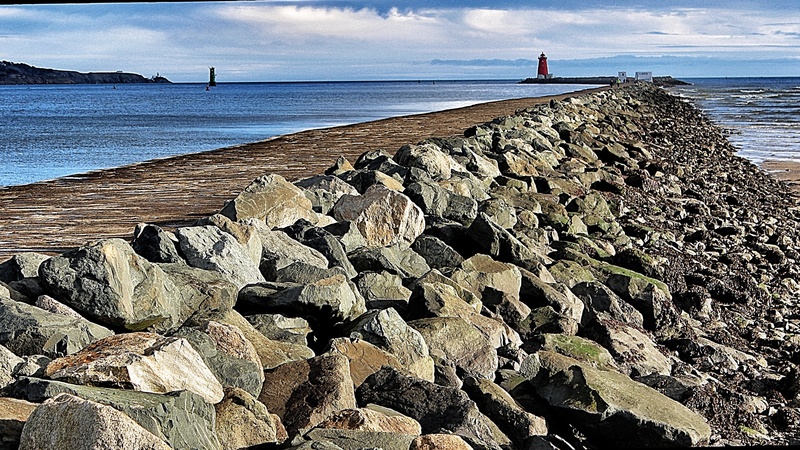 Walking to the Red Lighthouse is one of my favourite things to do. I wrote about it for my blog, Hush. Here’s a short recording of the piece, complete with photographs. Have a listen, and share if you enjoy! He prescribes pain killers and bed rest. He loans me a cage to limit the dog’s movement. I buy a dog gate for the stairs; remove all the chairs from the living room. I reschedule a parent-teacher conference; cancel a lunch date with my friend. My friend is going through a rough time and our lunches mean a lot to her. I cancel anyway. He doesn’t bark. 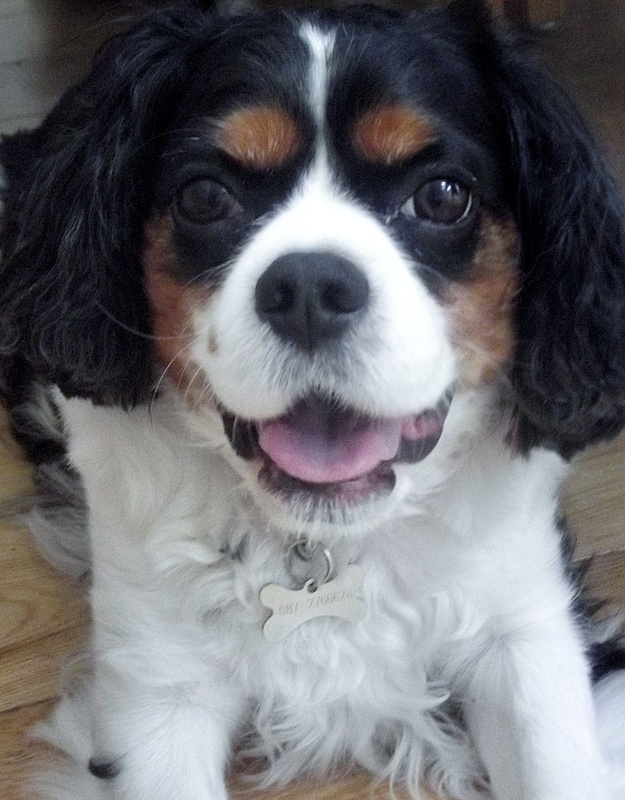 His big Cavalier eyes follow me around the room. When I can’t bear it any more, I carry him into the front room and sit with him in the red chair. When the sun shines, I carry him into the garden. At night, I lift him the proper way and carry him upstairs. I put him on our bed. When he stirs, I wake. When he yelps, I wince. I phone the vet and ask him if I’m being cruel. I make an appointment with a canine acupuncturist. I get directions to the hydrotherapy pool. I buy glucosamine supplements. In the morning, I wrap his tablet in a piece of fresh ham, place it on his tongue. He’ll be on medication for the rest of his life. He belongs to my fourteen-year-old daughter. I’d heard of Festina Lente before. (Of course I had. An Irish foundation with a Latin name that sounds like a Koan?) I’d just never visited. The foundation is based in Bray, in the grounds of an old family home. Its mission is to provide learning and employment opportunities to people whose needs are not met in mainstream environments. All welcome so. Our first stop was the stable yard. We ambled around, read the short biographies pinned to the horses’ doors. One horse was good at reading body language, another at helping nervous riders become confident. A puppy training class was taking place in an outdoor paddock, and we cheered on an incorrigible terrier. “ADHD,” suggested my husband, as the terrier raced in circles. His classmates sat demurely, eating treats. In the formal garden, a group of children were celebrating a birthday. Mostly, their celebration involved skipping across the lawn, but occasionally they stopped to ring a small bell that was hanging near the wall. Our own fifteen year-old ‘baby’ watched. We wandered beside the ornamental ponds, elegant in their symmetry. A terrapin lounged on a float, stretched its long, lovely neck to the sky. The kitchen garden was casual and charming. Prolific, too. We drank coffee beside a tree sporting the largest pears we’d ever seen. “You’re welcome to pick one,” said the woman in the shop. “But they’re cooking pears. Hard to digest.” We bought some apples instead, freshly picked, autumn-sweet. Impossible not to think of time in a place dedicated to its extremes of speed. MacNiece’s poem, Meeting Point, came to mind, but Time wasn’t away and somewhere else, it was here, urging itself into my consciousness. More haste less speed is an approximation of festina lente. But I prefer the classic translation, make haste slowly. It seems more honest. The days race by, no matter how mindful we are. The children skip and the apples fall.